It’s all over but the postmortems. Western bankers, large investors and other corporate interests triumphed on Sunday as expected – over fairness, equity and justice. 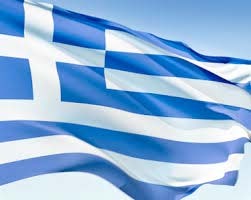 Greece remains Troika occupied territory, its sovereignty and soul lost, its people assured of greater suffering than already, its economy strip-mined for profit, its deplorable status the future of Europe and America, headed toward becoming thirdworldized ruler-serf societies unfit to live in. SRYIZA retained power by a larger than expected margin – with nearly all votes counted, achieving a 7.4% margin over New Democracy (35.5% to 28.1%). It’ll hold 145 seats in the 300 member parliament, majority control easily within reach with a coalition partner, likely Independent Greeks like before, expected to be announced on Monday or early in the week. A record low turnout at less than 55% showed popular disgust with business as usual. SRYIZA effectively got 20% support from the electorate, far from a mandate, a stinging disapproval, showing popular opposition to its policies. He’s part of the same ugly system – pro-business, anti-populist, pretending to be otherwise, committed to harsher austerity than his predecessors, dismissive of millions of suffering Greeks, their needs and rights ignored so bankers and other corporate predators can profit from their misery. I now look forward to the swift formation of a new government with a strong mandate to continue the reform process in Greece. I stand ready to work closely with the Greek authorities and to continue accompanying Greece in its ambitious reform efforts. On Monday, Greek media said SRYIZA and Independent Greeks will form a new government “as early as Mondayafternoon or Tuesday morning” – giving him a slim, potentially unstable, 155 seat majority. Former SRYIZA finance minister Yanis Varoufakis calledSunday’s electoral results “the ‘legalization’ of the capitulation that followed the signing of the dead end, humiliating and irrational” bailout deal – unconditional surrender to Troika demands, spurning strong anti-austerity sentiment. Dystopian harshness in Greece is a window on the future. We’re all Greeks now!